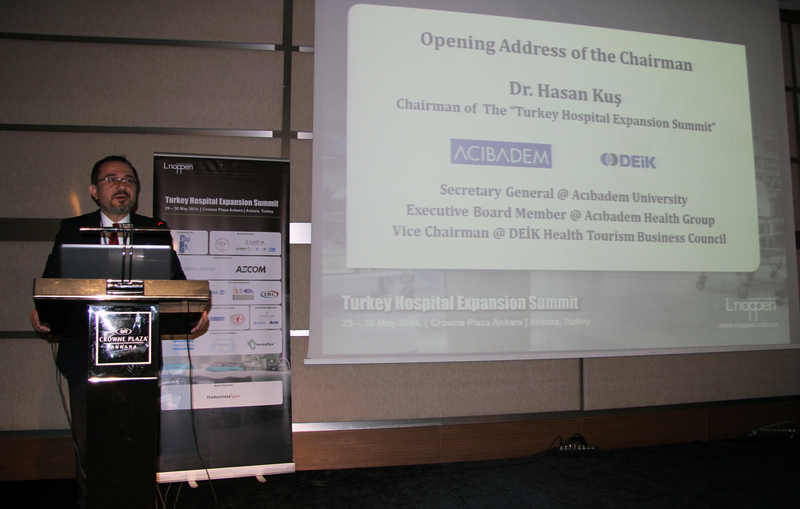 The Turkey Hospital Expansion Summit was opened by Mr. Hasan Kuş, Executive Board Member of Acıbadem Health Group who was the chairman of the event. He started his opening speech by outlining the aim and the focus of the summit. He also emphasized the importance of recent developments in the industry and further development possibilities of the healthcare sector through successful implementation of Public Private Partnership Healthcare projects and enhancing the capacity of health tourism in Turkey. His speech was followed by Mr. Serkan Tarmur, Partner | Advisory of PricewaterhouseCoopers, who provided the key investment drivers of the Turkish healthcare industry, future expectations and opportunities for the investors. He made it clear that drivers of growth like medical tourism and PPP program of the government will shape the healthcare sector development. He also presented the results of PwC`s survey of the Healthcare CEO`s which provided an excellent foundation to the event. Mr. Fatih Türkmen, Head of Department, Department for Health and Social Security, General Directorate for Social Sectors and Coordination of Ministry of Development was the next keynote speaker on the stage who laid out a quick summary of the healthcare transformation program in Turkey. He gave a detailed information on the accessibility, quality and financial sustainability aspects of the program where he also shared the outcomes with the participants. The importance of the medical tourism and ministry’s dedication & efforts to support the program was clearly shared with the delegates. Before the first break Mr. Andrew Parkman from Aecom shared their experience in project management & technical design which are learned over 15 years in 900 projects. He has indicated success factors & causes of failure as well as their experience in smart healthcare design to enhance patience experience. 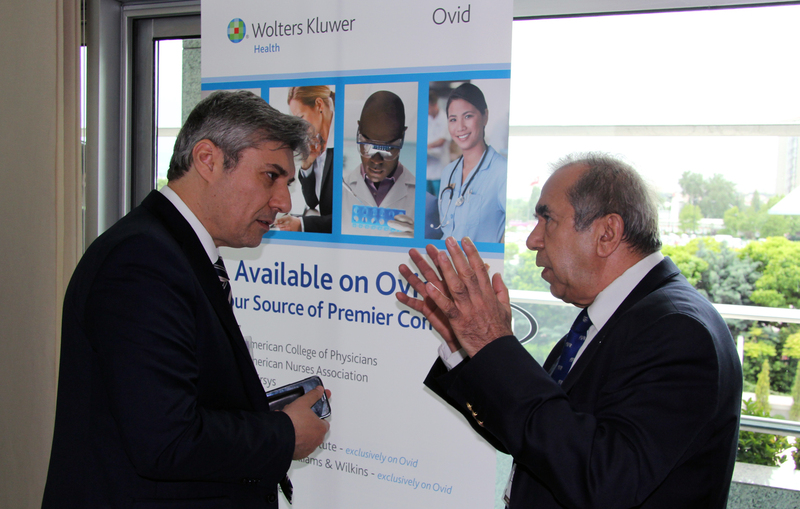 After the first tea and networking break, investors and consultants shared insight and discussed opportunities for investors in the healthcare market in Turkey. 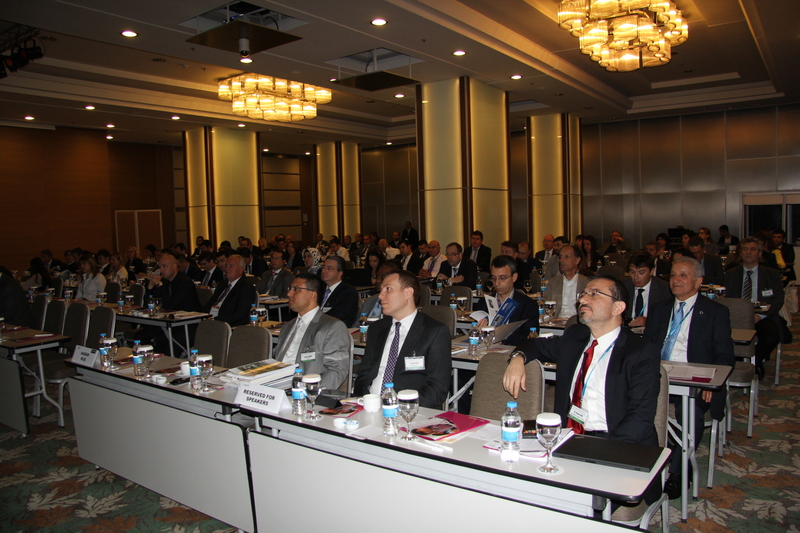 Panel was chaired by Mr. Orçun Makal , Director, Transaction Advisory Services, Ernst & Young. Panelists: Mr. Marco Rosso, Business Development Director of Meridiam Infrastructure, Dr. Ahmed Emara, CEO & Managing Director of ReAya Holding and Mr. Evren Güldoğan, Managing Director of Promaya Consultancy Services who shared insight on opportunities and concerns in the market, provided important feedbacks on the progress of the current projects as well as on the recent developments of debt assumption and direct agreement negotiation subjects. Prominent speakers at the event included Mr. Ashraf Ismail, Managing Director, International Services- Middle East from Joint Commission International. He provided guidelines on how to plan & build a new hospital in compliance with international standards & safety goals? He also indicated the importance of leadership, system design and safety culture in detail. Mrs. Connie Munsters from Wolters Kluwer Health took a step further and demonstrated their efforts to help their customers to face critical decisions and move forward with confidence by delivering evidence based information and solutions. Second discussion panel of the day was focusing on addressing the staffing challenges which was chaired by Ms. Zeynep Erkek, CEO of HRH Organizational Development Solutions. Eminent speakers Dr. Mehmet G. Hızarcı, Chief Strategy Officer of Istanbul Medipol University Hospitals, Mr. Fuat Besceli, Head of PPP, City Hospitals and Special Projects from Siemens and Mr. Yener Gül, Change Management Consultant from Ministry of Health shared their sincere concerns on human resources and leadership issues in the healthcare sector. The importance of the subject has become inarguably clear especially after mentioning OECD averages and country turnovers on the verge of all the mega healthcare projects piling up in the pipeline. After the lunch break, Mr. Bekir Arslan, Head of Medical Devices & Equipment Planning Department from Public Hospitals Institution of Ministry of Health shared a presentation revealing the investment planning of the ministry to provide additional ~ 10000 beds in 90 new healthcare facilities in 2014 where 56 of them are in construction phase and 30 of them are already completed. He also provided medical devices investment planning data as well as energy efficiency program towards green hospital projects of the ministry. Prof. Dr. Ahmet T. Keşli, Vice-Chairman of United Nations (UNECE) International PPP Centre of Excellence provided an overview of healthcare ppp program of Republic of Turkey. He indicated top reasons to invest in Turkey and revealed various PPP opportunities in different sectors in detail. His presentation created a foundation to the project finance panel which was chaired by Mr. Aykut Taşel, Director, Advisory Services | Corporate Finance from PricewaterhouseCoopers. His eminent panelists Mr. Hüseyin Arslan, Chairman of the Board of YDA Group, Ms. Şule Kılıç, Managing Director, Head of Financial Advisory from Unicredit Bank Austria and Ms. İdil Gürsel, Senior Banker from Municipal & Environmental Infrastructure of European Bank for Reconstruction and Development dominated the day. As Mr. Arslan being the pioneer investor of the very first Healthcare PPP projects in Turkey, he shared YDA`s experience and evaluated the time, resources and energy spent in the progress as the crawling period which all the stakeholders including the related government authorities should learn from. Since the representatives of EBRD and Unicredit witnessed the progress from the very beginning, there was a consensus to perceive the efforts as a very valuable part of the learning curve to establish guidelines to quicken the process of other projects in the pipeline. The discussion panel was a delight for the participants and interactive conversations continued throughout the networking break. Mr. Bülent Koray Göker, Director of International Business Development & Investments from Dünya Göz Group was the next speaker addressing the audience offering their experience in creating an effective international marketing model via power of the internet. He gave crystal clear statements about the complexity of online marketing and warned the participants regarding the importance of careful planning in targeting the right market, design, functionality, cost & ROI calculations before launching the marketing campaign. He also indicated the capacities of the healthcare institutions which are launching campaigns to attract international medical patients should be pre-qualified and ensured, such as availability of adequate facility, personnel, services and insurance related issues to avoid loss of reputation in the market. Mr. Hasan Kuş chaired the last discussion panel of the day one where Mr. Seyit Yalçın, Planning Expert of General Directorate for Social Sectors & Coordination form Ministry of Development and Ms. Meri İstiroti, General Manager of Liv Hospital analyzed the medical tourism capacity development and shared stakeholders point of view. Factors driving the demand, possible impact of international and local competition, government incentives and procedures were questioned for the development of the industry. The audience was still interactive and lively discussions were taking place as the time hit 18:00 o`clock. It was obvious that there were great opportunities for the medical tourism and room for improvement for each stakeholder as the competition heats up. Day 2 kicked off with the chairman`s short summary of the day one and reminders of the focus for the day two as: design, construction, cost management and technology. Then he paved the way to Mr. Victor de Leeuw, Architect | Member of The Board from Dutch Health Architects to provide updates on the trends for the future of healthcare design. 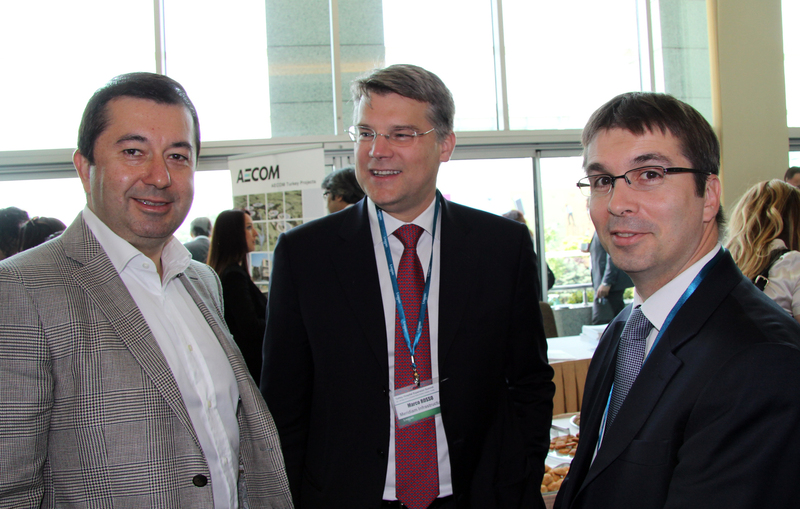 He presented a very comprehensive outlook about the development stages of hospital design. Prioritizing quality, efficiency and patient safety, keeping in mind flexibility, adaptability and expand-ability as well as improving healing process was presented with case study examples. Another case study presentation was provided by Ms. Meri İstiroti, General Manager of Liv Hospital where prioritizing the adoption of patient centered values for patient and staff’s safety as well as the satisfaction of the stakeholders were the core aspects of her presentation. Her presentation was followed by Mr. Thomas Tepper, Managing Director of LKAB Minerals who presented efficient and cost effective radiation shielding capacities of LKAB in hospital construction. 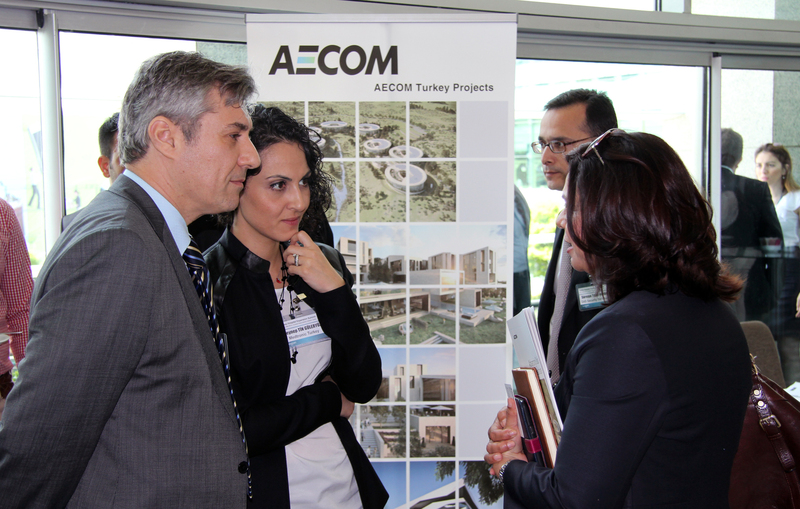 After the tea networking break Mr. Cemil Yaman, Principal of ERKE Sustainable Building Design Consultancy shared a very interesting presentation on the subject of Green Hospital Building and revealed the cost factor being around %1 - %2 of the total construction for Leed Gold standard. He gave detailed information on the ways to create energy and water efficient buildings as well as the of the materials and resources should be used during the process. He emphasized that green building decision must be taken before the construction period to reach optimum results when efficiency and cost are concerned. Mr. Gene Hamilton Klow, Managing Principal of rmjmHKA from Los Angeles was the last speaker before the designer/construction discussion panel who presented a coordinated approach to project planning by using operational analysis and process mapping to ensure the project finishes on schedule and within budget. His presentation was very well prepared, supported with charts and sample calculations which was very much appreciated by the participants. At the end of the morning session, Mr. Ömer Ünlü, General Coordinator of NKY Architects & Engineers chaired the discussion panel on strategies, perspectives & global trends in creating world class healthcare infrastructures. The panelists Mr. Klow, Mr. De Leeuw shared insight on designing the ideal healthcare environment by effective stakeholder involvement in facility design. They discussed the ways to minimize changes, delays and other challenges in the project planning, design & bidding phases. Dr. İhsan Şahin, Board Chairman of the Sıla Health Group shared his insight on the issues and problems awaiting the stakeholders in the new PPP hospitals in the panel. Audience was all ears during his address where his involvement in various projects in the pipeline which are in different stages made him an indispensable source of information and excellent plenary speaker. After the lunch and networking break, Ms. Esen Tümer, General Manager of Philips Healthcare presented the approach and innovative solutions to transform healthcare. As Turkey being key opportunity country she revealed some of the market intelligence reports to display the benchmarks and market potentials related to the industry. Her interactive presentation involving the audience proved to be effective and actual market data shared with delegates was very much appreciated. The momentum kept growing with the following speaker, Dr. A. Birol Altan, General Manager of Inso S.p.A – Türkiye who provided a case study presentation on `Design and construction challenging the progress of medical practice`. He highlighted design, construction, functional & technology aspects and presented the benefits of provisioning operational and maintenance issues to improve clinical services during his speech which was listened with great attention. Mr. Gökçenur Çelebioğlu, Founder Partner & Board Member of TSP Facilities Management was the last speaker before the networking break who shared the experience of TSP in facility management area as a total solution provider. His indications on cost and performance issues as well as his convincing approach to include the facility management services involvement in the very beginning of the project phase to increase economical life expectancy of the project were well presented. After the networking break, Mr. Şaban Küçük, Director – Tax from KPMG chaired the discussion panel on issues & challenges of development where Mr. Oğuz Engiz, CEO of Medicana International Ankara Hospital provided a short presentation on `How To Lower Operational Costs at Hospitals` to lay a foundation to the discussion panel. His view was shared by Mr. Hakan Adanalı, PPP Coordinator of Bozlu Holding and Mr. M. Özgür Dumlu, from Medical Park Hospital Group, the General Manager of Bahçelievler Hospital. They have added their insight on how to lower operational costs in such a highly regulated, complex, labor & capital intense market. New ways of managing people, processes and technologies were also emphasized during the panel. The last session of the conference was the discussion panel on `Data Management In Healthcare Facilities` where Mr. Emre Özdal, Healthcare Sector Business Development Team Leader from Turk Telekom was in conversation with Mr. Murat Eren, Board Member of Healthcare Informatics Association and Mr. Faik Sayran, Healthcare Vertical Business Development Coordinator of Innova. They have evaluated the progress of the e-health development, awareness and preparedness of the market players as well as the bottlenecks and the opportunities. Especially insights on the benefits of integrated information systems by successful elimination of the paperwork, private sector and government`s efforts to simplifying processes to increase the flow of information among stakeholders were the highlights of the panel. Event was finalized with the chairman`s closure, lucky draw sponsored by Vital Quadro and Noppen`s special thanks to eminent speakers, participants and sponsors namely: Aecom, Wolters Kluwer, LKAB Minerals, Manusa, TSP Facility Management, Atlas Copco, Vital Quadro, Temsa Sağlık, Thermaflex, Ambito Arquitectura Madrid, árgola arquitectos, Avigilon, Euroestudios, Artem Facility Management, Etkin Atalian and Işıltan Balabanlı companies for their contributions to the event.